Need some back-to-school fashion advice? Ask an author, that’s what I always say. Trending today are maxi-skirts the length of a run-on sentence paired with an ombre ellipsis bandeau on top. And OMG! have you seen those adorable small brim fedoras made entirely out of commas? A must have, indeed. 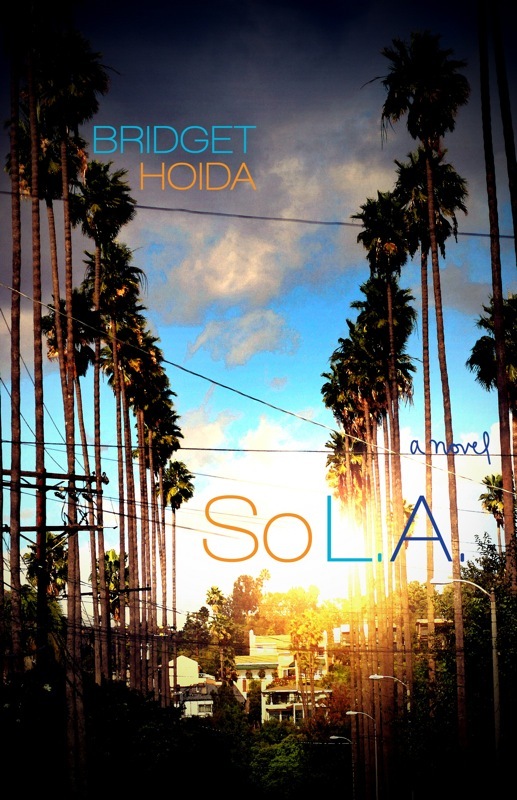 Today I am featuring the super stylish novel, So L.A. by Bridget Hoida! I have some cool stuff to share, including a guest post by Bridget and some of her thoughts on fashion! Magdalena de la Cruz breezed through Berkeley and built an empire selling designer water. She’d never felt awkward or unattractive… until she moved to Los Angeles. In L.A., where “everything smells like acetone and Errol Flynn,” Magdalena attempts to reinvent herself as a geographically appropriate bombshell—with rhinestones, silicone and gin—as she seeks an escape from her unraveling marriage and the traumatic death of her younger brother, Junah. Magdalena’s Los Angeles is glitzy and glamorous but also a landscape of the absurd. Her languidly lyrical voice provides a travel guide for a city of make-believe, where even Hollywood insiders feel left out.